Set like a jewelled crown on the map of India, Kashmir is a multi-faceted diamond, changing its hues with the seasons always extravagantly beautiful. The Mughals aptly called Kashmir Paradise on Earth where they journeyed across the hot plains of India, to the valley s cool environs in summer. Kashmir is a land where myriad holiday ideas are realised Golfing at 2,700 m above the sea, water skiing in the lakes or simply drifting down the willow fringed alleys of lakes in shikaras and living in gorgeous houseboats. Welcome to the Srinagar, The Lake City. On arrival at Srinagar Airport, being your tour of ‘Exotic Kashmir’. You will be transferred to Houseboat. After lunch enjoy a romantic ‘shikara ride on the Dal Lake. Overnight stay at the Houseboat. Today you embark on a full day excursion to the picturesque ‘meadow of gold’ Sonomarg. The fast flowing Sindh river makes it popular for trout and mahseer fishing in summer. You can opt for a pony ride to one of the glaciers for some fun in snow and ice (by your own payment). Return to the Houseboat in Srinagar in the evening and enjoy comfortable overnight stay. Note: The vehicle will drop and pick you up at Sonomarg car stand. To reach the glaciers, you can hire ponies by your own payment basis. Early in the morning leave for Pahalgam the ‘valley of shepherds’ which is situated at the confluence of the streams flowing from river Lidder and Sheeshnag lake. En route visit the Awantipura ruins, an 1100 year old temple dedicated to Lord Vishnu and built by King Awantivarman. 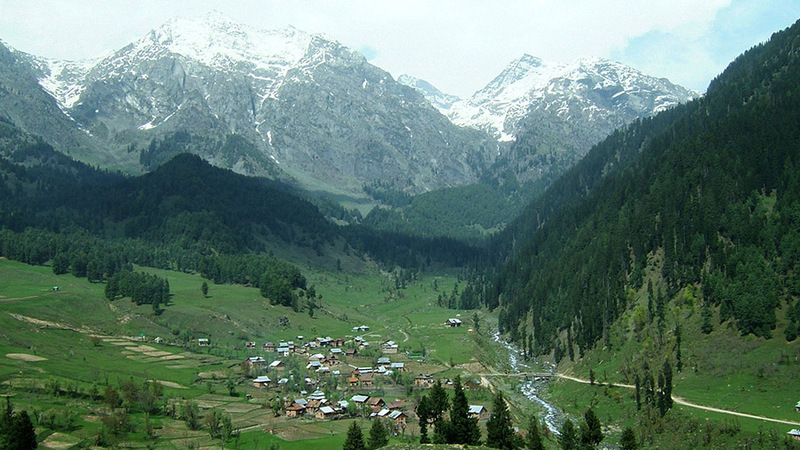 On arrival into Pahalgam enjoy the surrounding beauty or walk to Baisaren, which is about 2 km from Pahalgam. A small village, set in pine and fir forest is pleasing and offers good view. Night halt at Hotel in Pahalgam. After having breakfast enjoy Gondola Cable Car Ride world’s highest and the Asia’s longest cable car (at your own cost). Enjoy photography, horse riding and shopping at this beautiful snow point. In the evening return to Srinagar. Overnight stay at Hotel In Srinagar. Today after having breakfast we drive to visit the famous Mughal gardens in Srinagar which are Nishat Bagh (the garden of Pleasure) and Shalimar Bagh (abode of love). These gardens are situated on the banks of Dal lake. Nishat Bagh is the larger of the two gardens and has an impressive plantation of Chenar trees on its highest terrace. Both the gardens are built on a symmetrical plan of central waterways with fountains dividing a series of gardened terraces. Night halt at Hotel in Srinagar. 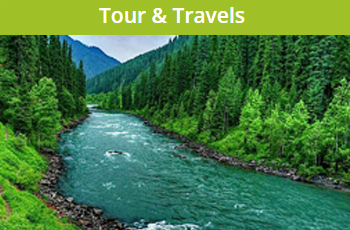 After breakfast transfer to Srinagar Airport to board your flight with memorable experience of idea Tours & Travels.